Had the luck to find eggs of this species today . Now I am curious, what I have to expect. 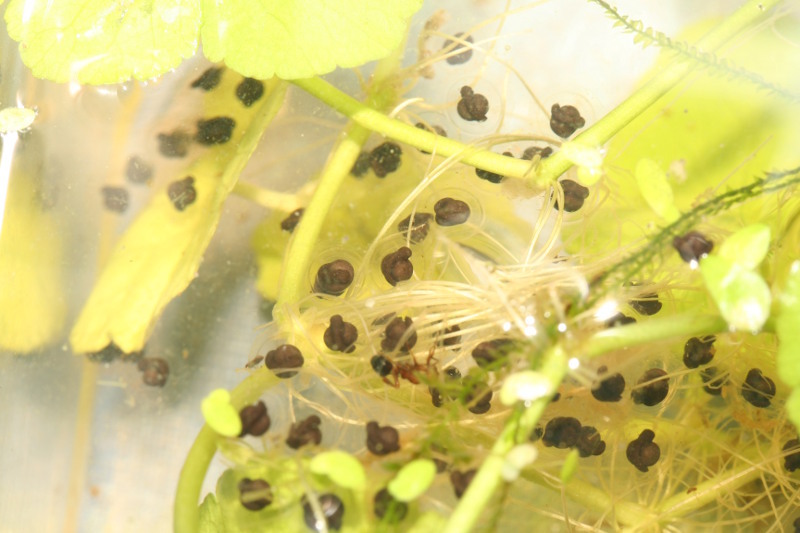 How long will it last, since the tadpoles hatch? How long is development to little frog? How long is development to adult? Is anything special with these ones? 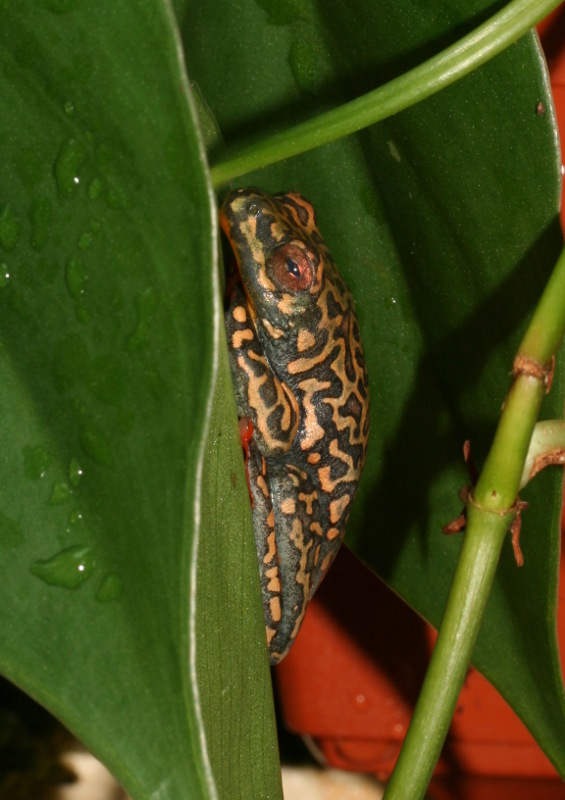 Now - There are some difference to other Hyperolius. 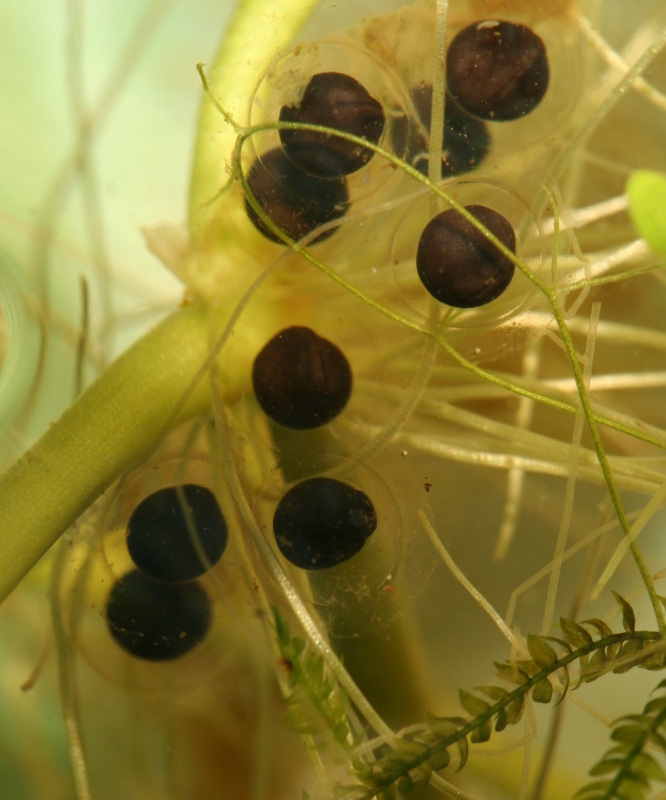 The eggs where in the water, are bigger and the development much faster. Male - sure the father . Very nice pictures. I noticed there is not any egg/tad info in the book as I was flipping through. If I were you, I would just keep them as the parents laid them, they are developing just fine and most of the time, the parents lay the eggs where they should be. You will be able to tell which (if any) die and hopefully why, submerged, air exposure, etc. 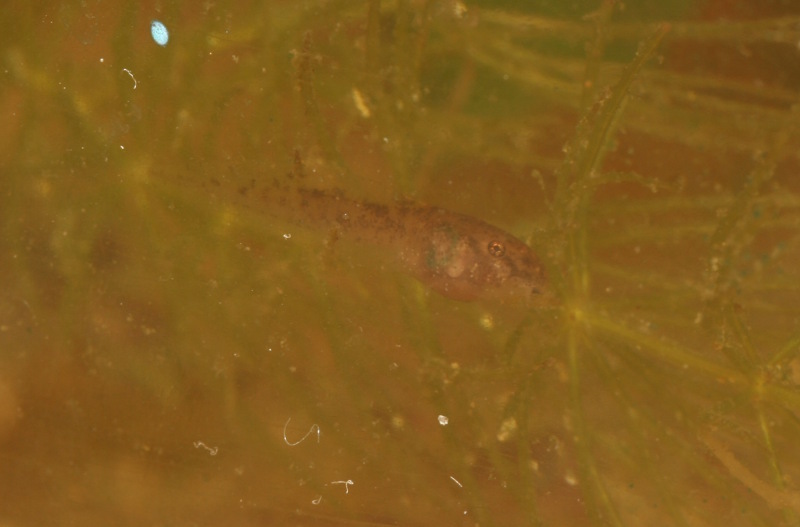 Very nice, the eggs should hatch in about 5 days, looks like they are developing well, the tadpoles should start to morph at just over a month and then froglets should be adult by 9 months. Good luck with them. This night I saw the first tadpoles moving a little. The parents laid them submerged. And it looks like, that it was the right way. 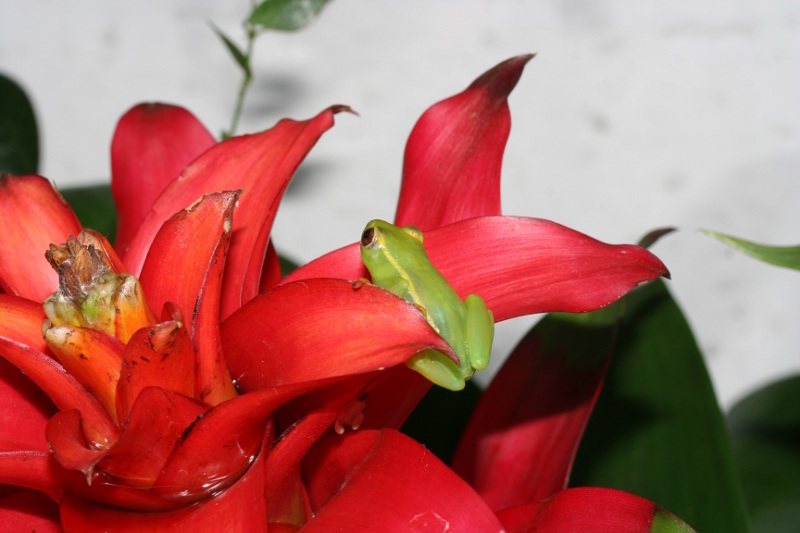 what kind of frogs are those, a type of reed frog? 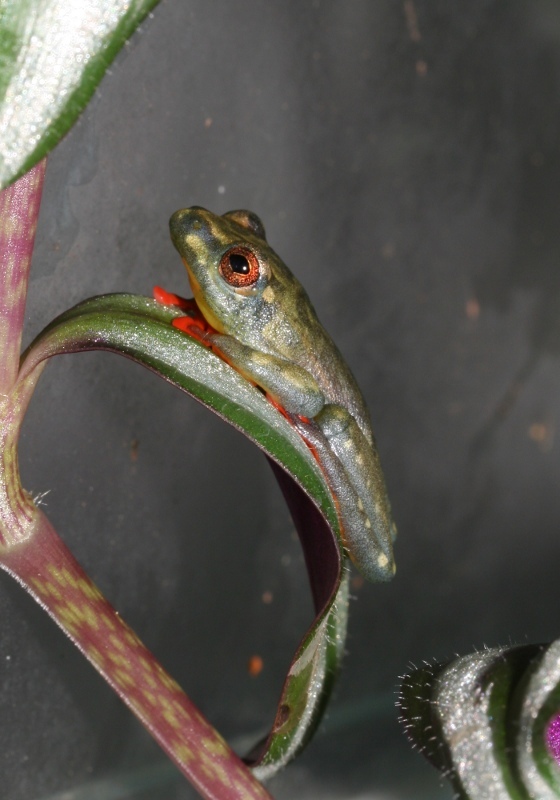 Yes, it is a reed frog, from Cameroon. 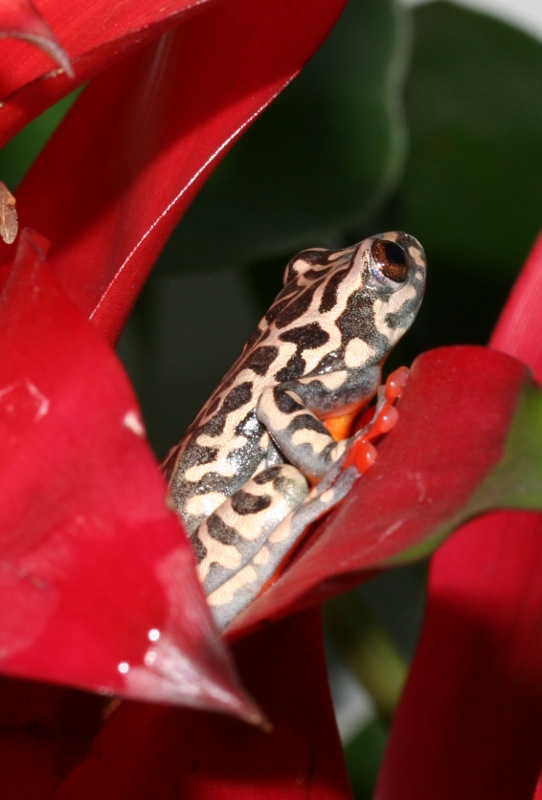 These Reed frogs are absolutely beautiful. They come in so many patterns or is it they different species? The eggs look so nice in there. Congrats! Just don't raise more, than you know what to do with them . My experience - so far .. 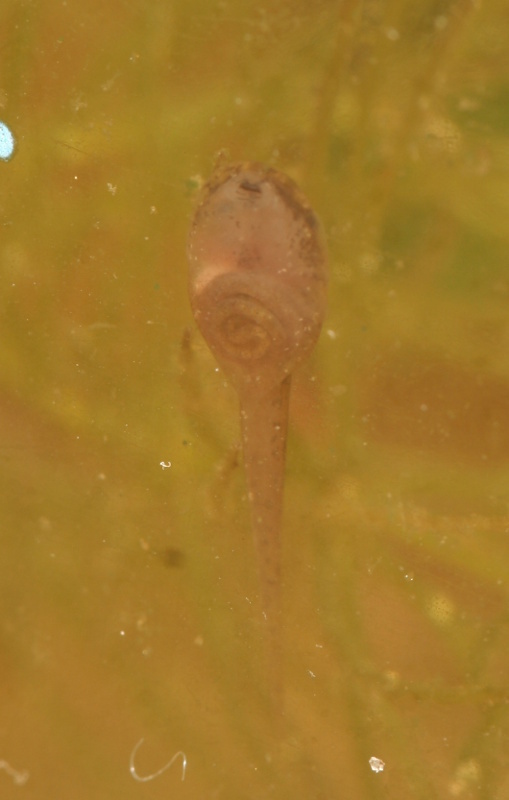 The tadpoles hatched beginning on day 4 to day ~10, The most on day 5-6. But it took a good week until the gills went inside and the intestinal was built. Hmmm - Think, it will take longer then 5 weeks until they are morphed - but we will see . 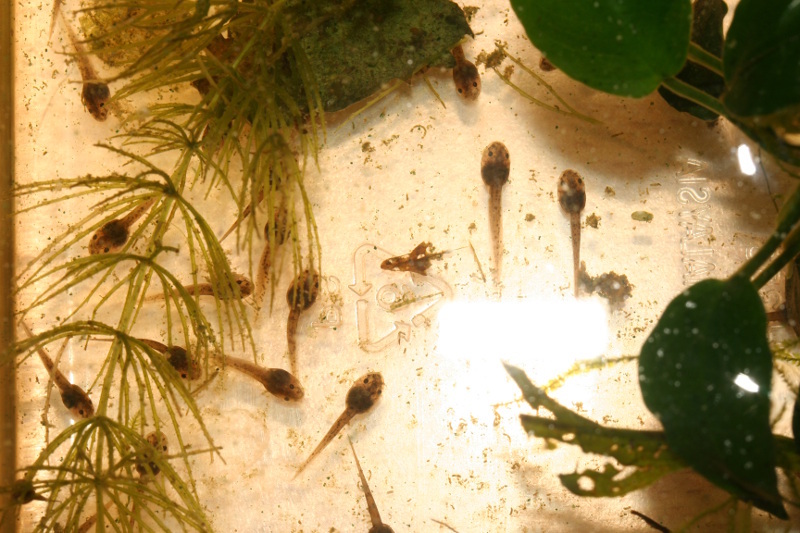 About 115 tadpoles hatched. I had 2 lost the first days and found one balloon-ill this night. Think, this one will be gone soon ... .
Good Luck and please keep posting updates. What temperature do you have the water? 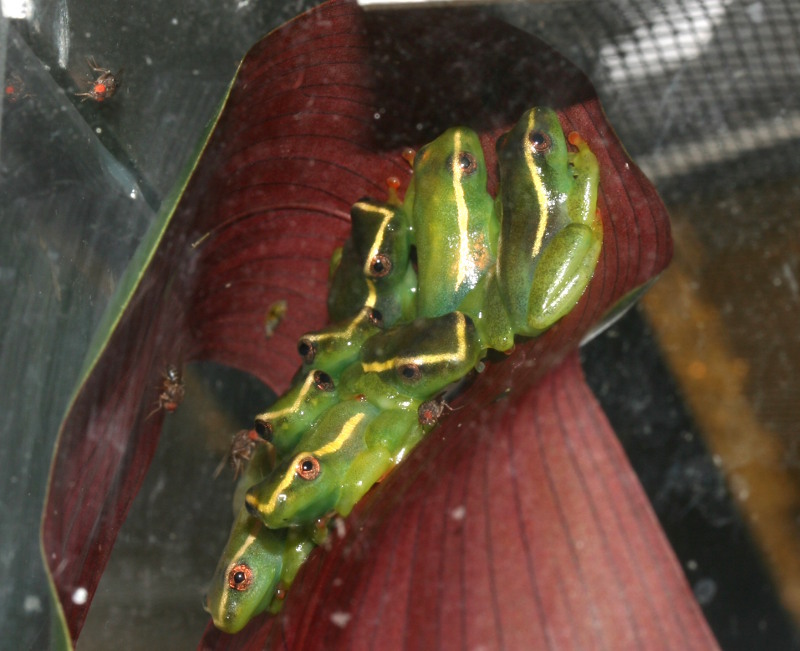 My frog room is about 24-25�C. Thus, I don't use any water heating. Should I do so? On some days I put the box under a 40W-spot - sunny day - but did not measure temperature. 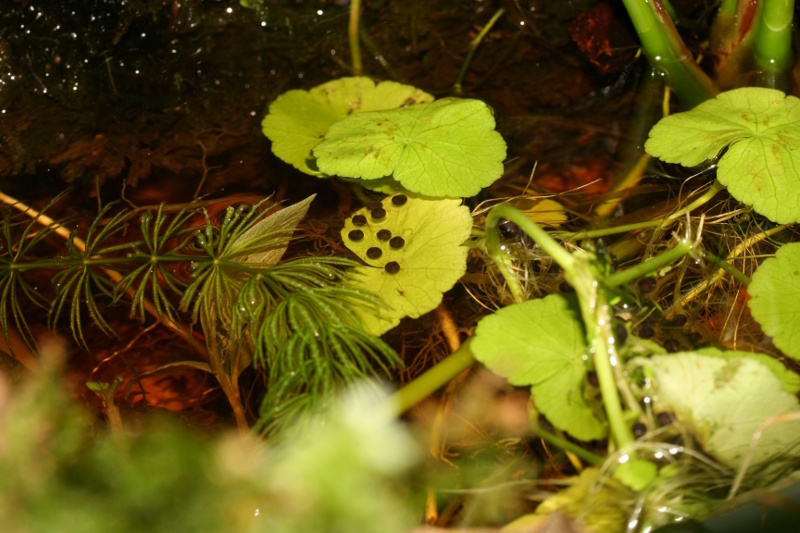 But I did not recognize that the tadpoles are searching the warm region. 24C should be about right, it wouldn't hurt to take it up a degree or 2 if you wanted to. I looked this afternoon. During day it is a little bit warmer - 24-25�C. Under the lamp the water gets up to 27�C. There are about 30-40 (from about 65) seen on land. those are really beautiful !! Great job and awesome pics. I just can't find the words. Please help yourself with google-translator, if you want to understand the text. Klemens haben sie noch welche verfuegbar? Ich lebe nahmlich in der sweiz und waere sehr interesiert an diesen froeschen. Ich kann warscheinlich abholen. Da sind mehr als genug da! Do you still have these frogs? I cannot find where you're from, are you in the US? look at the post date.